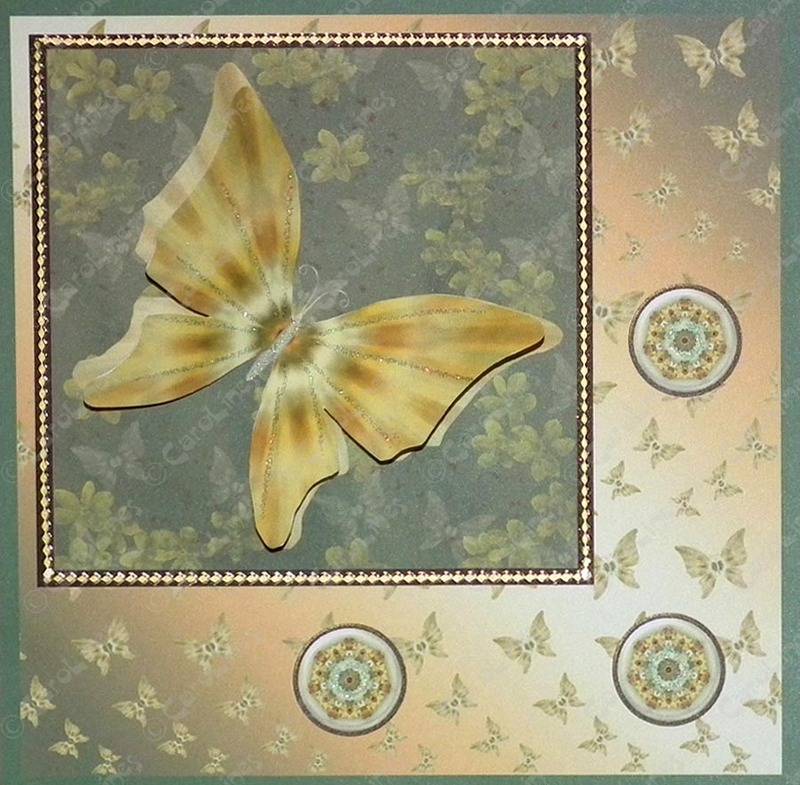 The second of cards made using the new Rainbow Butterflies Digikit. You will need a graphics programme such as CAP2 or MCS to create this card. This uses Rainbow Butterflies Set 1. 1: Create a dark green square in your graphics programme approx. 13.5 cm x 13.5 cm. 2: Import the butterfly swirls paper, re-size and position it over the green square. 4: Import the button, re-size and copy twice and position as illustrated. 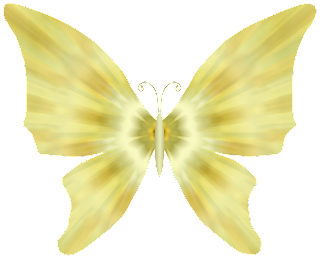 5: Import the butterfly, rotate by approx. 22 degrees and position in the floral square. 6. 'Deconstruct' the card and copy the butterfly. 7. Print both on to good quality card. 8: Use a border peel- off to highlight the brown square. 9: Apply glitter to the butterfly and the buttons. 10: Cut the butterfly out, removing the antennae (these are already on the card). 11: Glue the body of the butterfly to the card. 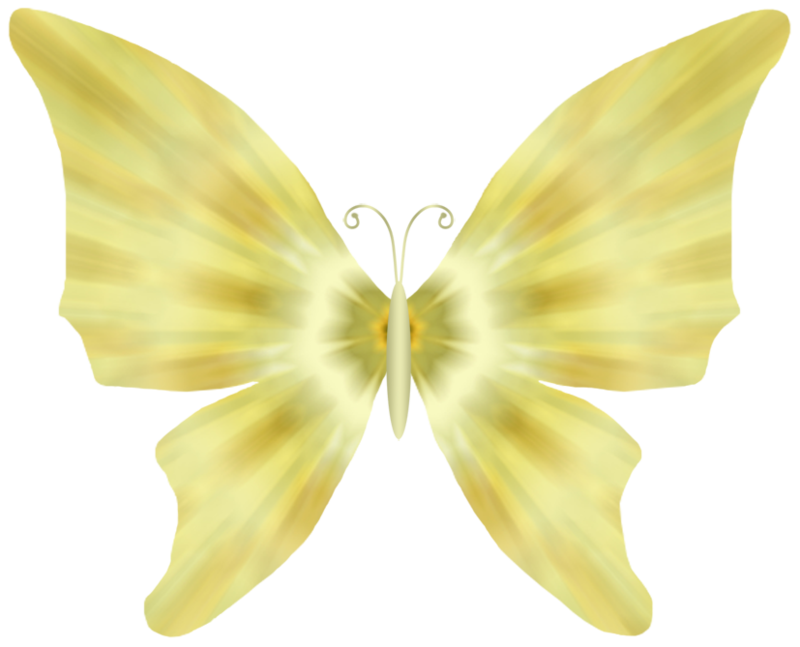 Just right click and save...you may have to 'cut' the butterfly out...although it is a png it may show as a jpg.